Pop Culture Icons To Appear at Singapore Toy, Game and Comic Convention! Kuala Lumpur, 12 July 2014 – Take note, all fans of anime and cosplay! You all can expect to see stars at this year’s annual Singapore Toy, Game and Comic Convention (STGCC) as the event announces the first wave of six top-notch pop culture personalities from the East and West. STGCC will be featuring three prominent DJs from Japan, each highly-regarded for their work in the different realms of Japanese music – Anisong, Touhou and Vocaloid. Inu, D.watt and sasakure.UK will be handling the stage on the first night of the two-day convention with a music showcase whereby they will be spinning the latest hits from popular Japanese games and anime! Thus, we can anticipate STGCC DJ Night for being able to teleport fans of anime and games to Japan. On the other hand, three multi-talented artists from the west will also be present during STGCC, namely – Humberto Ramos, who is well acquainted with Spiderman, Alex Solis, the father of “The Famous Chunkies” featuring oversized superheroes, and Simone Legno, the creator of the popular tokidoki brand. Uniting the best of pop culture from the East and West, STGCC 2014 takes place on the 6th and 7th of September at the Sands Expo and Convention Center in Marina Bay Sands. “The show has matured over the past six years, and we have amassed a very loyal following of fans from Singapore and the region by bringing together vibrant international content from the East and West for a regional audience,” said Ms. Rita Magnus, Senior Manager, Pop Culture Cluster for SGTCC. Taking over the helm of Southeast Asia’s leading pop culture show for the first time, Ms. Magnus, who has been the show’s Western content programmer for the past three years, has fresh aspirations for the show. “With a strong list of pop culture personalities and attractive offerings for our fans, we aim to put together a stellar content of substantial mass appeal and pave way for the show to be elevated to the next level,” said Ms. Magnus. SGTCC – the leading pop culture show in Southeast Asia – in 2013 concluded with a record-breaking attendance of 40,000 local and regional visitors. Works from the first wave of Western pop culture personalities can be seen on the most popular everyday platforms – from TV to watches and bags. Come and meet these three amazing artists at STGCC and get their autographs on your favourite merchandise! STGCC tickets are available now! Priced at S$19 for a one-day pass and S$25 for a two-day pass, tickets are available for sale at selected authorised retail outlets and at the event itself. Visit www.singaporetgcc.com/tickets-queues for more ticketing details. 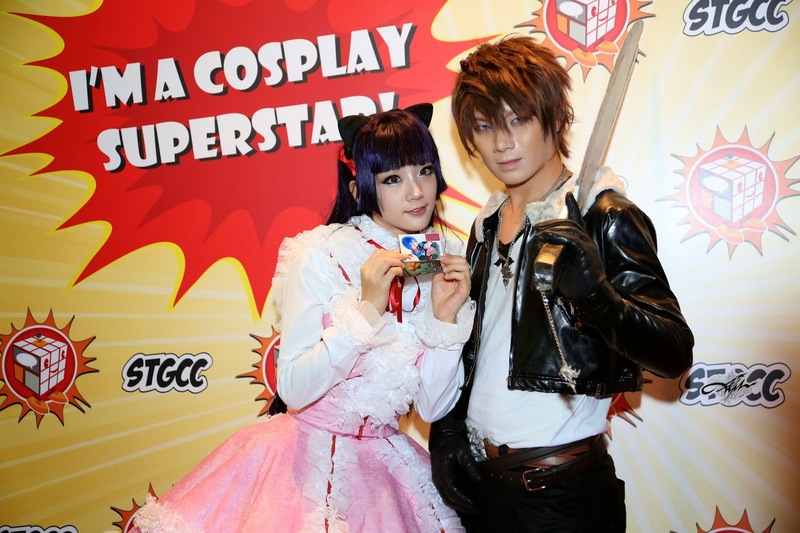 Images Credits: Singapore Toy, Game & Comic Convention 2014.